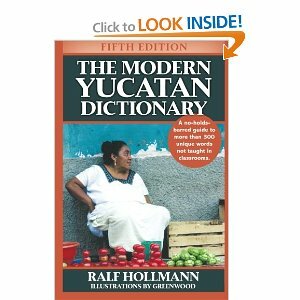 I have a copy of the earlier edition of this book and it is funny, insightful, and a MUST for anyone who wants to understand the unique, local jargon of Yucatecans. Don’t think twice, order your own copy! Thank you Juanita! That is a great endorsement, coming from you! Saludos!! I might get a copy of this one! Good job. I will have to disagree with you in that Americano thing. I am not a PRD-supporter, communist, left-winged nutter, I’m afraid. I’m a well-travelled, liberal scientist and I do get crossed when people use the term ‘American’ to refer to citizens from the USA. Appart from that, I did enjoy the few pages one is allowed to read.